he push to eradicate the nuclear family in America has been the single most important factor in creating the great political divide we have in our nation today. Strong families build strong communities but a house divided against itself cannot stand. Ask a number of experts why the nuclear family has disintegrated and you’ll get a variety of theories, such as the introduction of no-fault divorce law, women entering the work force and having economic independence, the welfare state and the sexual revolution following the introduction of the Pill. And they’d all be right to some degree, but what you won’t hear is how unchecked immigration, both legal and illegal, is contributing to the break up of our national identity. While academia and think tanks are fond of telling us that diversity is our strength and that we are a nation of immigrants, they fail to speak of how origins, shared values and work ethics play largely into whether immigrants successfully assimilate into the culture and become a bonus to our system rather than a drain. Those who repeatedly tell us that diversity is our strength while omitting our history are being dishonest and deceitful. The earliest Americans, with the exception of black Americans brought here under duress, were not a melting pot of cultures and peoples, but were almost exclusively of European descent. It is our European great grandparents and their parents who immigrated from Britain, France, Ireland, Italy, German, Poland and Sweden. Before the Immigration Act of 1965, America was a melting pot of Europeans, not Mexicans, Iranians, Syrians, Pakistanees, Africans and Somalians. And there are other lies we are being asked to believe, such as Hispanics are hard workers and extremely family oriented. But the numbers tell us something much different. The Hispanic high school drop out rate was 10 percent out of more than 6.5 million 18 to 24 year olds of other ethnic groups. And more than 53 percent of Hispanic women have children without being married, far worse promiscuity numbers than those in the white community. And while we know that Hispanics often take physically demanding jobs and may be willing to live in homes with up to 20 adults, they are also the biggest group of welfare recipients because they outnumber the black community, with up to 22 percent of them collecting welfare. Worse still is that the dollars Hispanics do generate do not benefit the United States or remain on American soil. So while leftists laud Hispanics as hard workers, they give nothing back. They almost exclusively subsidize family members that remain in Mexico and other Latin American countries. Hispanics are also slow to integrate, including third generation legal immigrants. According to the Pew Research Center, 85 percent of first- generation Hispanic parents speak Spanish to their children, creating communities such as Pilsen, Illinois outside of south Chicago, where almost all of the stores and street names are in Spanish and drug cartels and illegal gangs run rampant. Hispanics almost overwhelmingly vote for the Democratic Party because culturally they believe in big government, ideals that do not fit the American ethos of small limited government, self-sufficiency and the importance of civic duty and education. We cannot have a cohesive nation when large populations of immigrants are allowed to remain isolated and rootless with no connection to the land, their ancestors or their ethnicity, which is why many foreigners who may speak perfect English and appear to have embraced western culture still self-identify as immigrants. Hispanics and other immigrants, such as Muslims, want to pick up their old nations and set up shop on American soil. They want only economic rewards, not a new nation. They are takers, not dreamers. 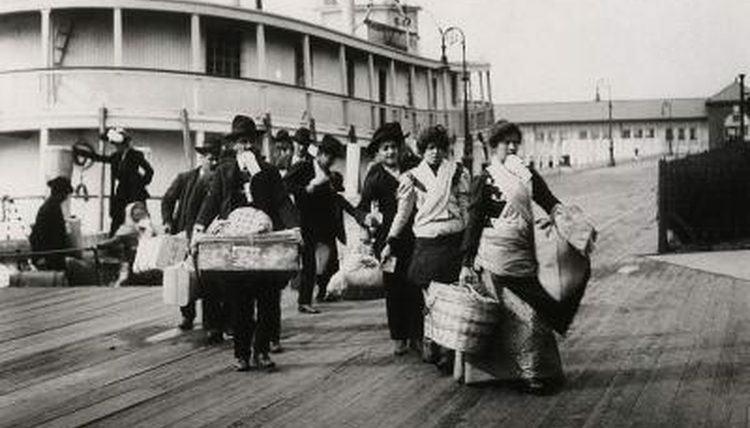 It is the generations of European Americans who sailed across the pond to build new lives in a strange new world because they wanted to be free and self-sufficient, many of whom came as indentured servants, that made America great. It was the promise of eventual freedom and economic gain that sustained them. It is their hopes, dreams and sweat that built the social capital that we all enjoy today as Americans, the very institutions, infrastructure, laws and families that historically made the United States a prosperous nation. The war against our national heritage is a calculated and dangerous weapon being forged against Americans that must be waged by those smart enough to recognize it for what it is. The historical truth that is being erased by those who wish to overturn our current system of government is that this great nation was built on the backs and sweat of Europeans that did not have brown skin. To dare to point out this historical fact is to risk being called a racist by the progressive left. We are on the verge of completely losing our national identity to illegal and chain migrants who have no desire to assimilate into our national ideals. In the case of Muslims, immigrants are told by their imams not to assimilate into American culture. Americans have a right to say that they do not want to open their homeland to radical religion and to a people who do not support women’s rights. The hysterical left will screech that anyone who wants to “make America great again,” just wants to make America white again. But nothing could be further from the truth. Americans aren’t bothered so much by the color of an immigrant’s skin as much as they are concerned about the destruction of our national identity. Americans also don’t want immigrants that seek to change our laws, such as the Muslim “refugee” invasion that is occurring in Europe where immigrants have their own Sharia courts and no-go areas. Moreover, Americans don’t want our two-party political system being rigged by illegal and chain immigration voters. The Pew Research Center found that the largest immigrant group in the United States, Hispanics, voted 70 percent for Hillary Clinton, with first generation legal immigrants supporting big government by 80 percent, second generation 71 percent and third generation 54 percent. If immigration policies don’t change, the sheer demographics of Texas, Arizona, New Mexico, Georgia and Colorado will all go blue in 2024 and conservatives will never hold power again in the Senate or the White House. All of which makes it crystal clear why Democrats are the biggest supporters of open borders. Democrats don’t care about immigrants any more than they ever cared about blacks or people with brown skin for that matter, they just want voters. 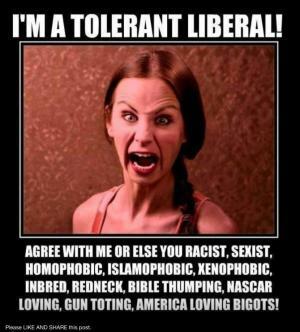 The relentless assault on our national identity is being eroded by the left’s continual push for illegals to vote, sanctuary cities, amnesty and the funding of groups such as Open Borders, all of which are designed to take the keys to our nation and hand them to groups that never had skin in the game and won’t for generations to come. Finally, the left has successfully used the fear of being labeled a racist against those of us who want immigration laws to change and to see the end of unchecked worker visas and immigration chains, effectively closing immigration loopholes that don’t, first and foremost, benefit legal American citizens—black, white and brown. It’s time to stop being led around by the nose and, as President Trump promised, put America first.